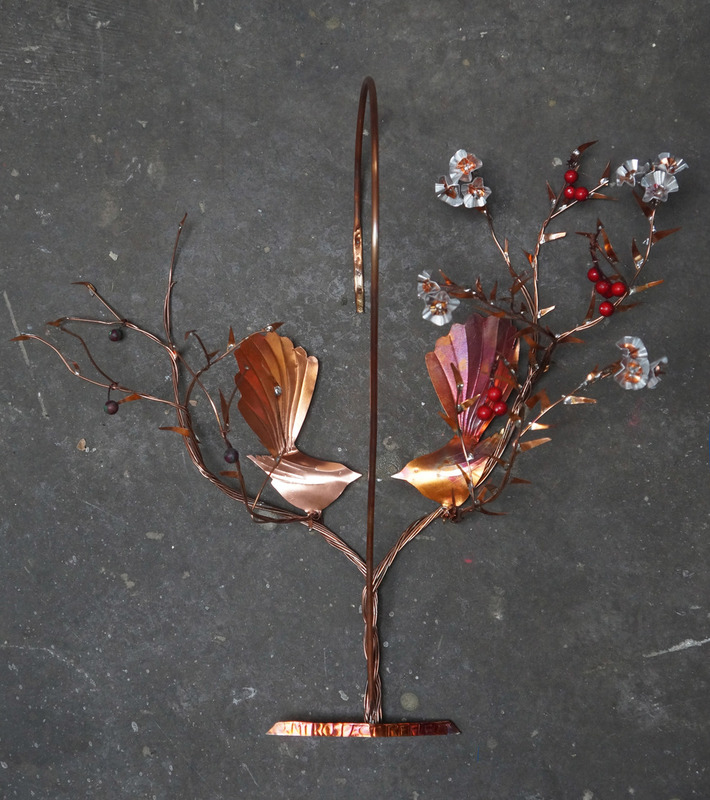 David brings a different medium to our ever expanding group with his copper art. Raised in a Canterbury farming community he soon felt the call of the ocean and spent 30 years of his life sailing the oceans of the world . Returning home in 2010, he has expanded his hobby into an art-form and now with his participation in various conservation groups has gained international recognition with a majority of his work finding homes overseas. His vision can also be found in galleries throughout New Zealand, Australia and the USA. David maintains a studio in both NZ and America.